Nothing is more important in helping you achieve your goals then accurate information. How you judge your starting point, your progression and when your goal is achieved is dependent on the accuracy of the tracking devices you choose to use as well as your own input and interpretation of information. 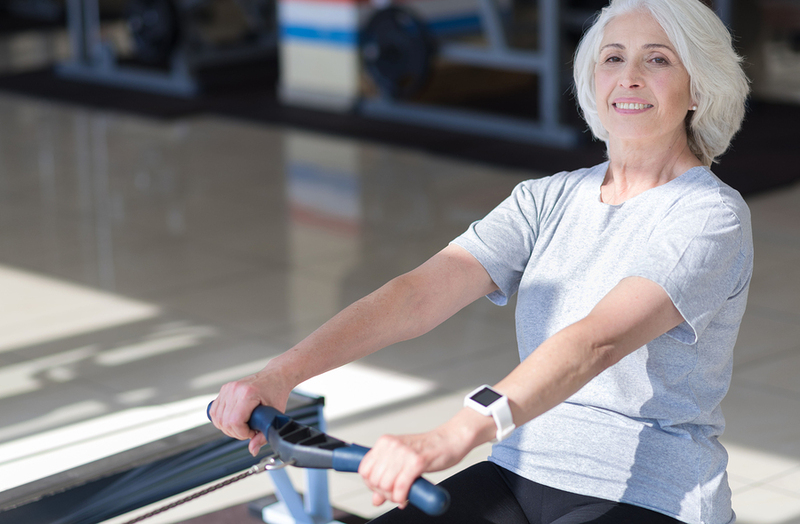 Most aerobic exercise equipment will give you a readout of how many calories you have burned as well as having a heart rate readout via hand grips or it will pick up the heart rate from the strap you wear around your chest. My personal experience is that the heart rate readout is usually within 1-2 beats accuracy, however the calorie output usually has a tendency to be a bit exaggerated. With that being said, you can use the calorie output number as a guideline to improving your workouts. Any machine will be consistent on how long you exercise for. If you keep improving on the caloric out-put number for the same amount of time, (with inputting the same information age/weight), then you know you are getting fitter if the of calories used keeps increasing over time. 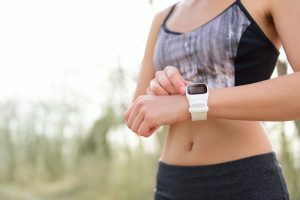 Your heart rate monitor can also teach you a great deal about “how you exercise.” If a person walks on a treadmill or uses a StairMaster and they hold onto the railings this will lower there heart rate during the workout because they are supporting their body weight and their heart does not have to work as hard. Of course if safety or balance is a concern, then they should continue to hold the railings during their workouts. You should always consult your doctor before beginning any exercise program and have them give you your own specific guidelines. NOTE: Anyone taking beta blocker or calcium channel checker medicines, using a heart rate monitor will not be accurate. Those specific medicines are designed to reduce how fast and how intense your heart works. Anyone taking those medicines are better off using Perceived Exertion (P.E.) as a way of measuring their workout intensity. 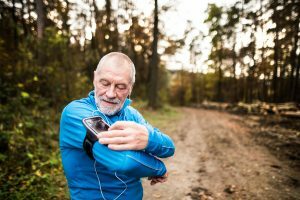 To improve your ability to use Perceive Exertion as a tracking technique, on a scale of 1-10 (1 is easiest / 10 is maximum effort) try guessing what your heart rate is before looking at your heart rate monitor. Pay attention to how you feel before looking at your heart rate number. Is your breathing shallow? Are you breathing in and out through your nose or mouth? How is your energy level? Are you sweaty? FYI if you have any pain in a joint while exercising, or maybe your back hurts while you are doing your workout, those conditions are not part of the Perceived Exertion equation. The P.E. formula is based only on exertion and the physical attributes (breathing, energy, sweating, overall fatigue). Another factor affecting heart rate is body position. The more upright the body, the harder the heart has to work to move the blood. The best example is comparing the heart rate of a person using a recumbent bicycle versus a bicycle where they sit upright. 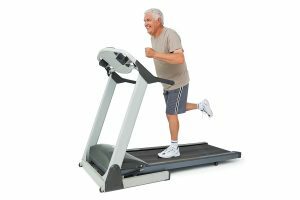 With everything being equal (resistance and speed), the person on recumbent bike will have a lower heart rate because they are in a lower (horizontal) body position. This does not mean they are less efficient or not working out as hard a person on a upright bike. What it does mean is that you have to compare apples to apples when judging your numbers. You will probably find that you will have different heart rate “zones” for different type of aerobic exercises and machines. 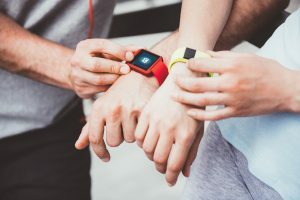 Another advantage of using a heart rate monitor or Fitbit watch is seeing the difference between working out on a machine and applying the same type of work in the outside the gym. Check your heart rate monitor when you do a StairMaster, then try the same workout using stairs. (You probably need at least a 15 story building for this test; going downstairs doesn’t count). You can also see and feel the difference when you bike ride outside with the same speed and resistance level when bike riding indoors. There are many different tracking devices you can use to achieve your goals. Heart rate monitors, Fitbits, Odometers, Bike meters that measure wattage (output of energy). For food you can create a diary with pen and paper or use online software programs like Fitday. Some devices like Fitbit track numerous body functions (sleep, heart rate, steps, etc). Heart rate monitors specialize in tracking heart rate, though some watches will also track other body functions and movements. What this all comes down to is a few specific items. – What is my goal and which tracking components of my nutrition and exercise program will help me achieve my goals. – Does too much information distract me from focusing on the specific item that is the most helpful to me? For instance, it’s great to know how many steps you took in a day, but will you get in better shape being focused on how well you do specifically with your cardiovascular workout, or how many steps you took in a day? – Is tracking your caloric intake more important or is being accurate about how much food you are having by measuring/weighing on a scale? It’s hard enough figuring out which tracking devices will be best for you, of course those info commercials would have you believe that their product is the best and from all perfectly fit people showing you how easy it is to use and that their physical success is solely based on that product; it can be confusing. Just remember that the product you viewing on TV has been out for only a short time and the perfect bodies you are looking at have been working out for years. What type of exercise equipment and devices do you think they used to get into such great shape? If you look at the bottom of the TV screen in fine print it usually says “Results Not Typical“, so why would you buy a product where success is not typical?